My parents tell me that there were signs I was going to be an engineer from when I was little. I was the one that would sit at the family desk and take apart all the pens and mechanical pencils in the drawers. We went camping every summer and using a construction toy set, with pieces sort of like PVC pipes, elbows, and connectors, I would make things like a clothes closet or an enclosure for the outdoor shower we used after going swimming. I would figure out the designs, iterate until they were working well, and then draw the plans and assembly instructions so we could make them again on the next trip. I also grew up watching all the Star Treks and reading every book I could get my hands on at our local library about the early space exploration days at NASA. I enjoyed science classes the most going through school and thought I would be a teacher, although I always dreamed of being an astronaut. I went to space camp as a rising high school senior and had a counselor that told us if we majored in engineering we could be astronauts someday. Well that was all I needed to hear and immediately redirected my college search when I got home. I attended Rensselaer Polytechnic Institute (RPI) and received a bachelor’s degree in Aeronautical and Mechanical Engineering in 2002. While at RPI I was very involved with the athletic department as the team manager for Women’s Basketball, Women’s Soccer, and Men’s Soccer teams, and as a varsity athlete with the Women’s Lacrosse team. I was also a resident assistant, a member of the juggling and scuba clubs, a soprano in the concert choir, and a brother of the Psi Upsilon Fraternity. I started working with NASA as a student in a lab on campus working with one of my professors. Then I had the opportunity to come to NASA Langley! I started out in a small atmospheric science internship that was jointly sponsored by Langley and Hampton University, a local college. I followed that with four co-operative education work terms where I worked in subsonic aerodynamics, again in atmospheric science, and in systems analysis. These rotations and mentors certainly set a tone for the rest of my career and I’ve been trying new things, staying connected, and working hard ever since. I started full time just three weeks after finishing my senior year of college in what is now called the Space Mission Analysis Branch in the Systems Analysis and Concepts Directorate (SACD). I was one of the first two fresh-out hires the branch had had in 13 years and officially the youngest civil servant in the branch and directorate at the time. I started out doing communications architecture design and analysis, moved into small spacecraft proposal evaluations, and eventually the work shifted to exploration systems and architecture design as the agency’s mission goals moved towards the Moon and Mars. In 2006 I applied to and was accepted into the pilot class of a new early-career leadership development program called NASA FIRST, Foundations of Influence, Relationships, Success, and Teamwork. This program without a doubt changed my life and the trajectory of my career. I learned a lot about myself, what I value, and how I was or wasn’t living those values. I also got to work with a few executive coaches and an amazing mentor both during and after FIRST who have pushed me to think about some hard questions of how I want to show up in the world and how to contribute in different situations. About three years ago I had the opportunity to lead a study of the educational activities on the center for the Director of the Office of Human Capital Management (OHCM) as part of the Office of Education being moved into OHCM. The exposure to OHCM I had during those nine months was really interesting to me and I found that they worked to helped center leaders make better decisions just like we did in SACD, just on different topics. When an opportunity to move to OHCM permanently as an Operations Research Analyst came I took it. I got to help with, and in many cases lead, data analysis, integration, systems analysis and special projects. Just recently I was competitively selected for a 1-year detail in Langley’s Office of Strategic Analysis, Communication, and Business Development (OSACB) as the lead for strategic governance and business development. In this role I get to support the Office of the Director and Langley’s senior leadership team. I am responsible for accurately documenting the context and intended outcomes of strategic actions that are assigned to our leaders and tracking them through until a final decision is made. All this documentation is important so that in the future our leaders will be able to know what was decided and why. I also get to learn about what business development activities each of our directorates are engaged in and am responsible for sharing best practices and insights across the groups as well as helping businesses from outside the center get connected with the right representatives on center, potentially leading to new partnerships. I’m also very proud of the ways I’ve been able to give back here at Langley and at my alma mater. I’ve been a mentor with the New Horizons Governor’s School, the NASA’s co-op program, Langley’s Summer Internship Program, the Student Volunteer Program, and the Department of State’s Virtual Student Foreign Service program. Since 2009 I’ve been a mentor for the Virginia Aerospace Science and Technology Scholars (VASTS) Summer Academy during which teams of rising high school seniors design a human mission to Mars over the course of one week. I’ve been thrilled to get to work with hundreds of students over these years and have stayed in touch with many as they have progressed onto college, through internships, and now several groups have graduated and are into the work world. At RPI, I’ve stayed closely connected to the Athletic Department which was a focus for me while I was there. I helped connect all the student-athletes in the soccer, women’s basketball, and women’s lacrosse teams with the RPI Career Development Center. For this multi-year effort I was awarded the Rensselaer Alumni Association’s Director’s Award in 2011. And, in 2013, I was asked to serve on the Alumni Association’s Board of Trustees. As part of that organization I have served on a team that for the first time has brought career services to our worldwide alumni population. In 2015, I have been asked to speak at the 2nd Annual Carl A. Westerdahl Forum which will focus on Aerospace and Rensselaer – Then, Now, and Into the Future. I’m thrilled to be able to give back to the organizations that have given me so much. My husband, Dennis (a member of the RPI class of 2003 and who works for a NASA contractor), and I live in Newport News, Virginia with our dog, Maple. Jennifer Keyes, known to most as Jen, began her NASA career as an intern and then a co-operative education student in 1999. In these programs she worked on projects in atmospheric science, subsonic aerodynamics, and space exploration. 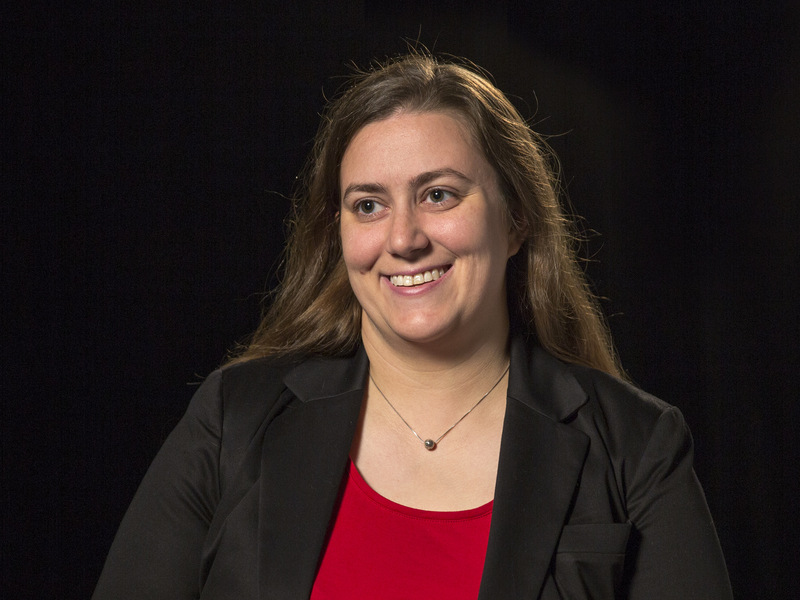 Now Jen is an aerospace engineer working as a systems analyst for the Office of Strategic Analysis, Communication, and Business Development at NASA Langley Research Center. In this role Jen supports the Langley senior leadership team as the lead for strategic governance and business development. Prior to this position she was the lead systems and data analyst for the Office of Human Capital Management, bringing her engineering and integration experience to the organization. Jen also has experience with a science-driven flight project, an international Earth science organization, helping to define both the Lunar and Mars Exploration Objectives, and several human and robotic exploration architecture and technology assessment efforts. Jen is a graduate of the pilot class of a leadership development program for early career employees which has led to her being asked to serve on several center-level, multi-disciplinary teams.